The advent of ios 9, which was released in September 2015, allowed Siri to truly blossom and finally become the most amazing hands free tool that I always knew ‘she’ could be! You can allow Siri to function entirely hands free by going into settings and enabling the ‘Hey Siri‘ feature under General Settings – Siri. Now, instead of long pressing the home button to invoke Siri, you can just say ‘Hey Siri’ and even if your device is sleeping or all the way across the room, Siri will probably wake up and respond! This new ‘Hey Siri’ feature worst so well it’s uncanny! And sometimes even a bit scary!! As evidenced in my short YouTube clip showing Siri waking up to a television commercial! One great example of Siri’s newfound brilliance is her amusing anecdote of how she came to ‘be’. Most people may not know that the real voice behind Siri is Susan Bennett. It was only revealed recently that Susan Bennett, a professional voice over artist, is the real voice of Siri. She spent many, many hours recording snippets of vocabulary back in 2005 which Apple pieces together probably using algorithms to address any question thrown at her. You can read more and see a video of Susan and how she created Siri’s voice in this People magazine article. Hey Siri, Apple’s Hand’s Free Method for Engaging Siri, Has Finally Arrived! So it’s with a renewed sense of spirit and enthusiasm that I’m finally able to confidently say that Siri is now a true competitor. In the last few months I’ve used ‘Hey Siri’ oftentimes with stellar results. You can ask Siri to remind you about something. 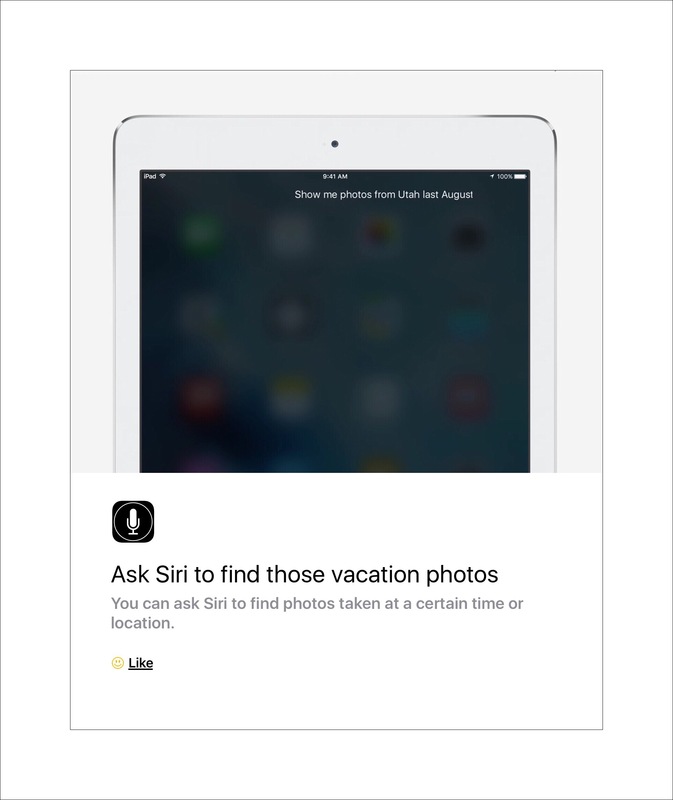 You can have Siri search your entire photo collection for specific ones. You can ask Siri to send a text message for you. And the last one is huge, you can finally correct Siri’s pronunciations easily! 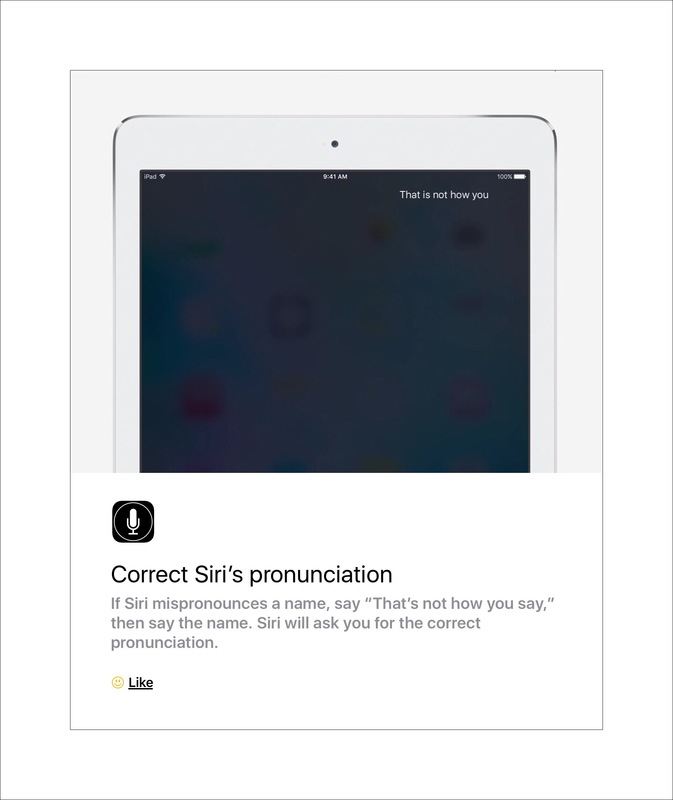 Sometime after writing this post I wrote a post about correcting Siri’s pronounciation which I’ve continued to add onto as I learn more tricks or as Siri is improved. You’ll find that article here. IMO nothing can top Siri’s amusing story of how she became famous! You can get Siri to tell you this story yourself (if you’re lucky) by holding down the home button and saying ‘Hey Siri, would you tell me a story of how you became famous?’ or something else along those lines. Siri can be obstinate though! Apple developers have instilled just the right amount of personality I think, giving Siri an edge that makes your interactions feel almost ‘real.’ This is truly AI (artificial intelligence) at its best! Consequently, you may need to use your imagination to get Siri to spill! Here are some hints to help in that regard. If you ultimately fail here’s a peak of that story. If you want to read the really real story of Siri’s origins try this link. I have just one more recent experience to add to the lot. As briefly mentioned above I use TTS (text-to-speech) or ‘read out loud‘ utilities a lot on my iPads and iPhones. I have a new brand new iPad mini that was a replacement for a mini that acquired a speck of dust under the screen. I hadn’t even entirely finished setting it up yet, but I was already using it to read some articles out loud to me. One article was stored in Evernote. It was in PDF format. I was more than a little shocked by the voice that I heard when it began reading. I’m wasn’t sure what was going on. I’m wasn’t sure if my new iPad was messed up because the voice cerentainly wasn’t one I’d encountered before. So I shot another quick YouTube video of it to submit to Evernote’s beta testing discussion forum. I was really impressed with how quickly I received a reply back from EV’s head ios beta developer telling me I’d found something no one else had discovered yet! I was even more impressed when a few days later all the ios beta testers were sent a new version with Siri’s voice restored to the one that’s set as the default for that particular device! Please feel free to leave me a comment…especially if you have some great Siri stories to add…I’d love to hear them!!! This entry was posted in Apple, ios 9, ios 9 Quick Tips, Uncategorized and tagged ios 9 Tips, Siri, Siri ios 9 tricks. Bookmark the permalink.